Some books handle complex issues well–and then there are rare books that hold the universe in a single tome. 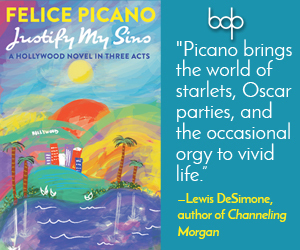 One such rarity is Fans of the Impossible Life, the debut young adult novel by seasoned performer and playwright Kate Scelsa. It is a realistic and unbelievable work that considers multiple facets of a myriad of issues with a compassionate hand. Scelsa’s adoration for her characters and their real-world allegories is but one compelling feature of Fans; the queer-centric world within its pages is extraordinary and long overdue in young adult fiction. 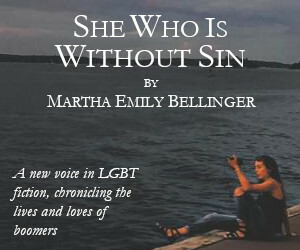 Her prose melts walls within and between, creating a kind, prismatic space where difficult discussions are safe from false binaries and reductive milieus, and where openness to several perspectives simultaneously becomes possible. Jeremy, the book’s first-person protagonist, is a solitary, artistic sophomore at St. Francis Prep. Third-person protagonist Mira just transferred to St. Francis from public school, where second-person protagonist Sebby is enrolled but no longer attends. English teacher Peter is the most beloved confidante on campus, and then there’s thorny Rose, quick with quips and unabashedly enmeshed with her exasperated ex-girlfriend Ali. Mira and Sebby are drawn together in the psych ward as they recover from radically different traumas. Their friendship survives reintroduction into the “real” world despite the flux of Sebby’s foster home and Mira’s cold, micromanaging parents. The two collide with Jeremy, who survived a third type of trauma by withdrawing. In an attempt to extract Jeremy from his shell, Peter encourages him to make his only hobby social by starting an after-school art club. Jeremy hesitates, but the task gives him a reason to talk to Mira and Sebby, who both express interest. The club becomes a Whedon-esque communal friendship in which the three main planets and their satellites share, collaborate, and overlap. They draw strength and confidence from each other, despite slippage, relapse, and the looming threat of demise. 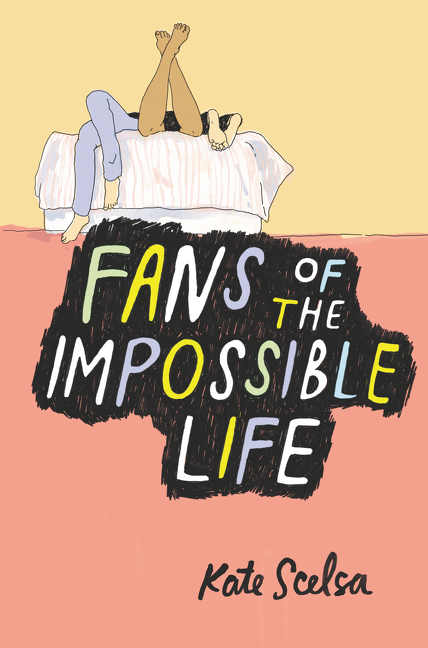 In Fans of the Impossible Life, Kate Scelsa creates an unforgettable cast that’s not your normative brat pack: it’s queer society in microcosm. Although small, the group contains fluid multitudes. Labels slapped on by outsiders don’t stick, and there is no urgency within for anyone to define or justify. A variety of dating and relationship styles are embraced, and no one is judged or asked to defend beliefs or ways of being. Jeremy, Mira, and Sebby’s stories intertwine and simultaneously sing out like a Greek chorus, sharing the narrative burden as their individual voices find strength. It’s neither a pleasant nor hopeless world. It is one of unconditional love and acceptance where family extends beyond bloodlines, from Jeremy’s two dads, who open their home to the de- and re- jected, to characters like Rose who live in homes with estranged relatives and seek filial bonding in friendships. Not all is copasetic or comfortable, but this is the reality of arrangements perpetually rearranged. Characters face harsh, often crumbling realities, yet draw from inexhaustible wellsprings of love and support. The most intriguing aspect of the writing—especially for a debut young adult novel—is how seamless the boundary between “real” world, reliable narration fuses with surreal delusion. It is truly miraculous. Jeremy, Mira, and Sebby are trauma survivors: the writing in Fans reflects the ways in which survivors float in and out of posttraumatic lucidity. Their lives seem divided by the blissful ignorance of before and everything after—but this belies the truth that each day is a constant negotiation between the three points of pre, post, and reliving trauma. It’s easy to get lost in a world composed solely of waypoints. However, Kate Scelsa triangulates, thereby creating a narrative form in which complexity and nuance flourish while demolishing dependence upon false dichotomies. Indeed, we understand the world initially with binaries, affixing names to things by dissociating them from other-ed things. Yet growing up requires one to embrace the paradoxical nature of a world that doesn’t make sense until attuned to third, fourth, fifth (and more!) perspectives. To become fully realized is to become calibrated to your personal true north while learning to navigate with the multidimensional map of shared territory. This, too, is the lesson of Fans of the Impossible Life. You’re in capable hands reading Kate Scelsa’s phenomenal debut novel in which love makes everything possible.